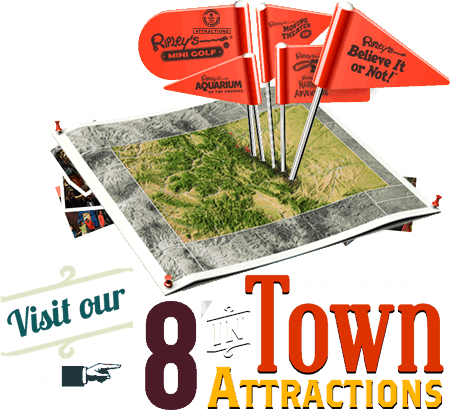 Visit our 8 Gatlinburg Attractions! Experience eight unique attractions including Ripley's Believe It or Not! Odditorium, our 85,000 sq ft Aquarium of the Smokies, a 5D Moving Theater, our bone-chilling Haunted Adventure, the mind-bending Marvelous Mirror Maze, and our two fully themed mini-golf courses!